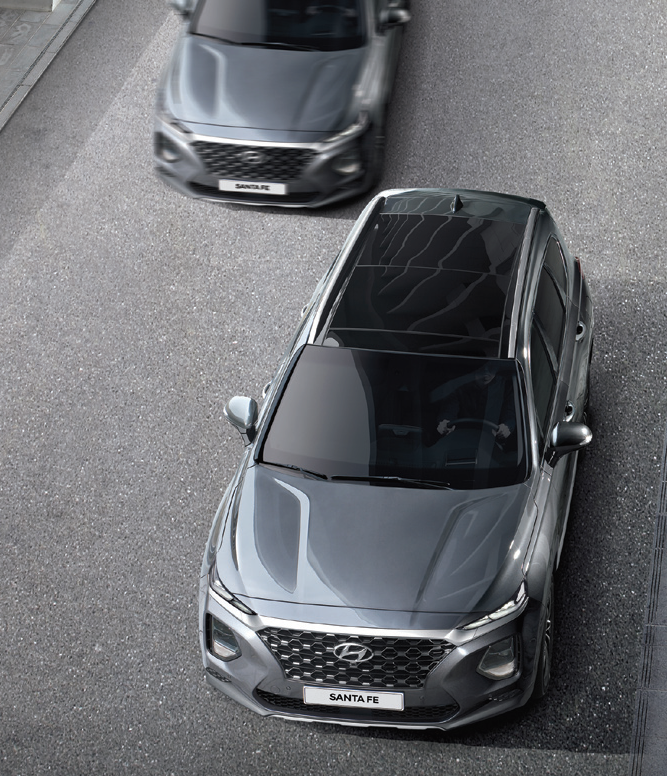 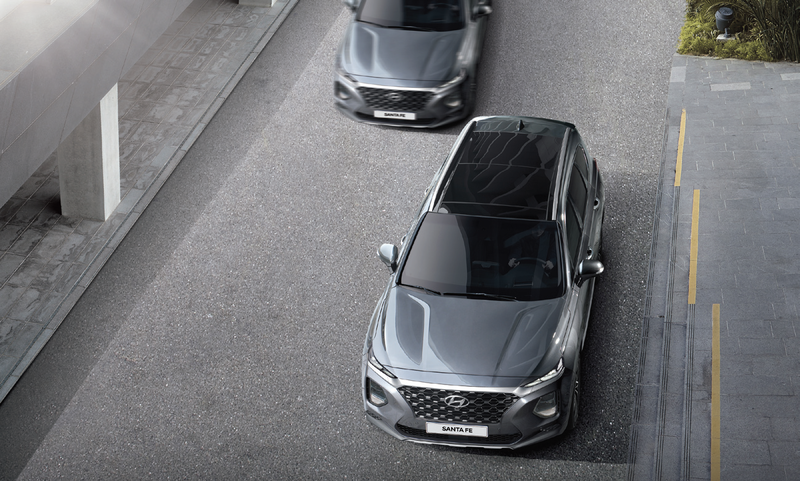 The all-new Santa Fe is packed full of ultra modern features to help keep you and your loved ones safe on and off the road, including a full complement of Hyundai SmartSense™ safety technology. 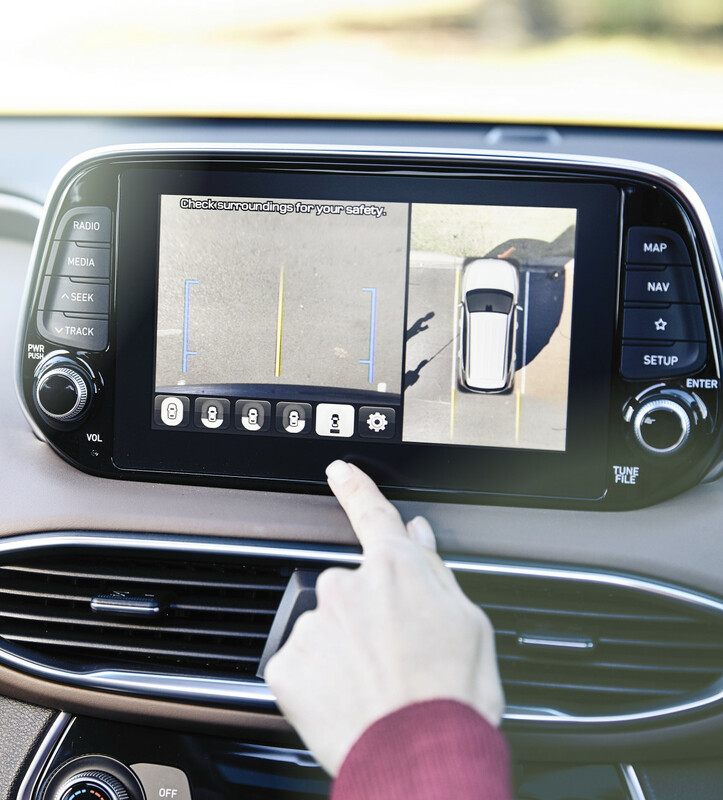 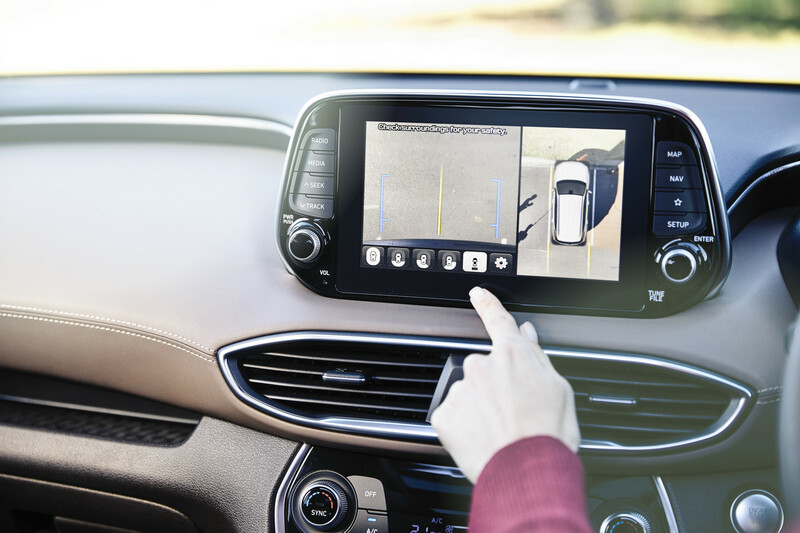 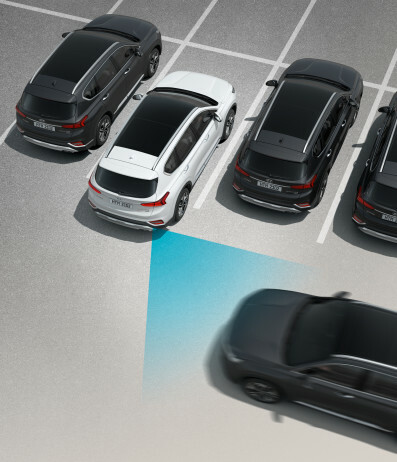 Ensure no one is left behind in an unattended vehicle, with our unique alert system (Elite & Limited models only). 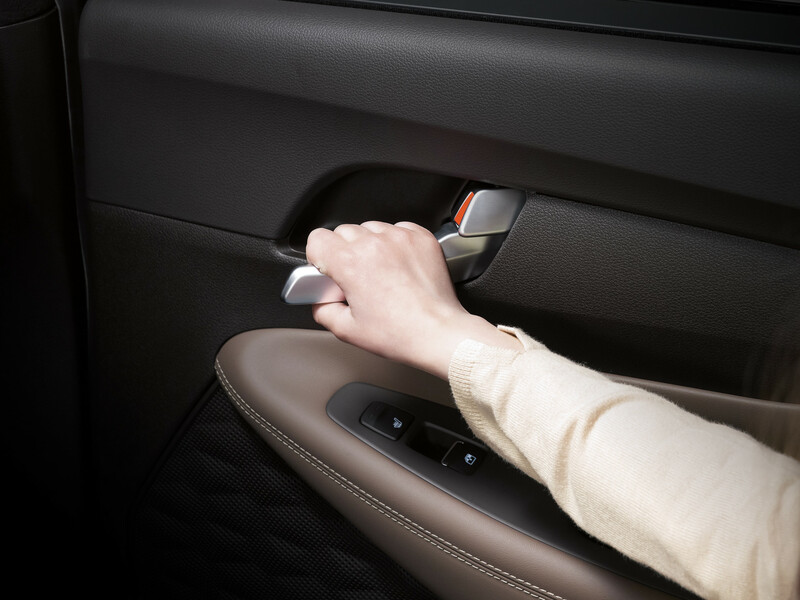 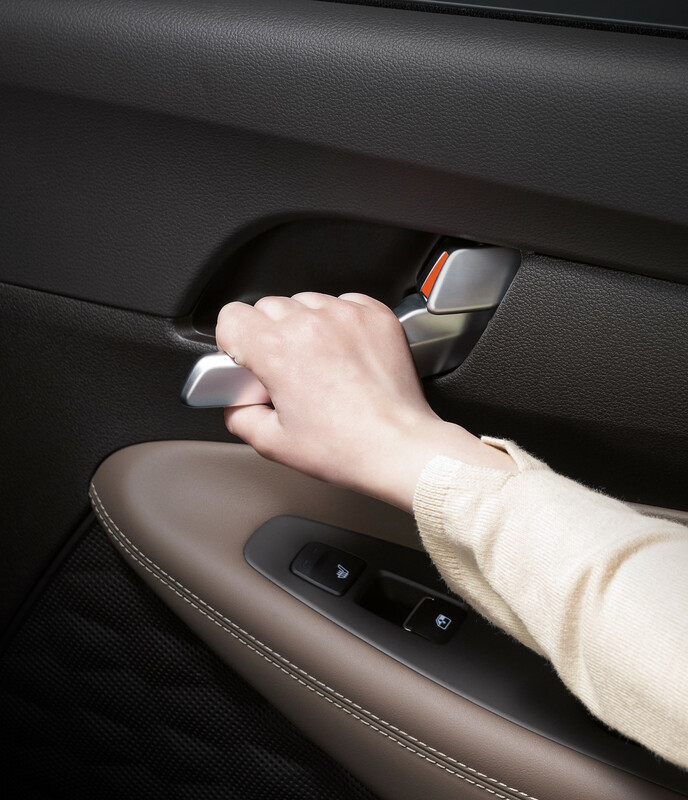 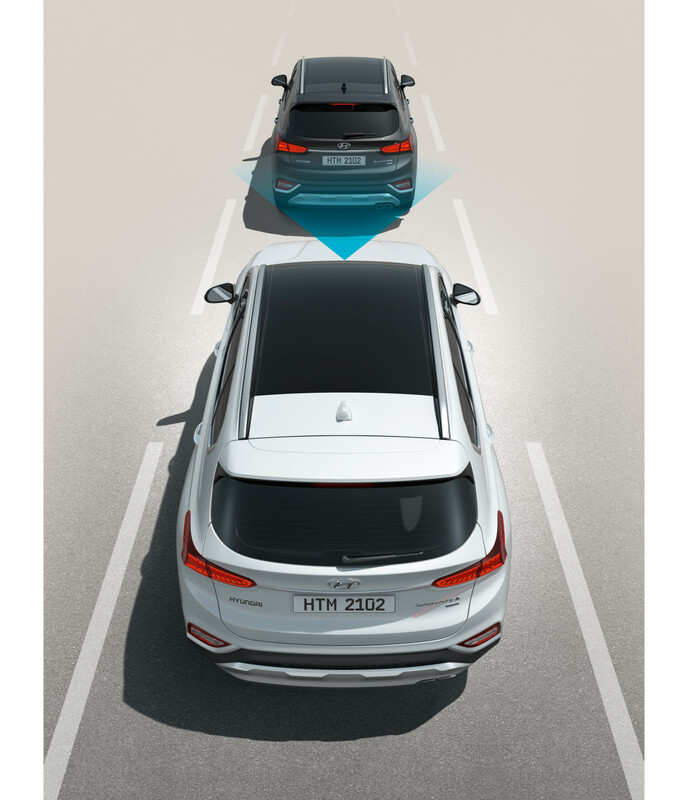 Be alerted to the dangers of oncoming traffic when exiting the vehicle (Elite & Limited models only). 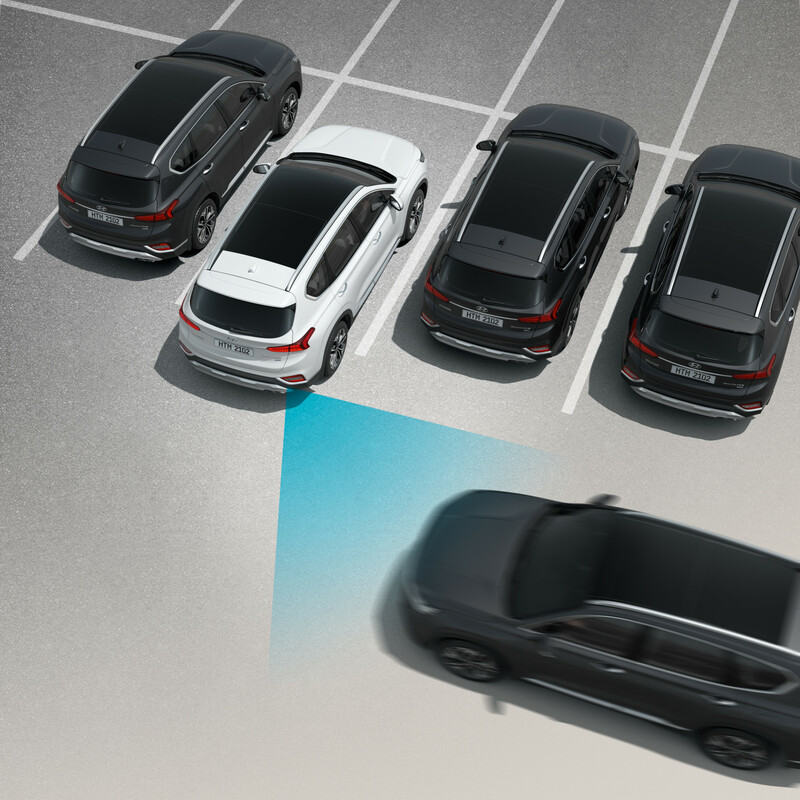 See a 360 degree bird's eye view of the car, as you park, manoeuvre or drive into the trickiest of spots (Limited model only). 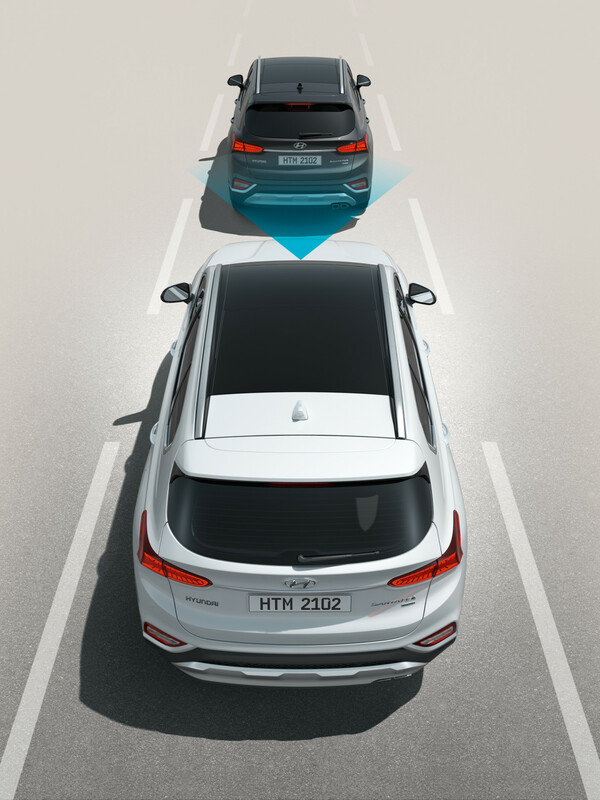 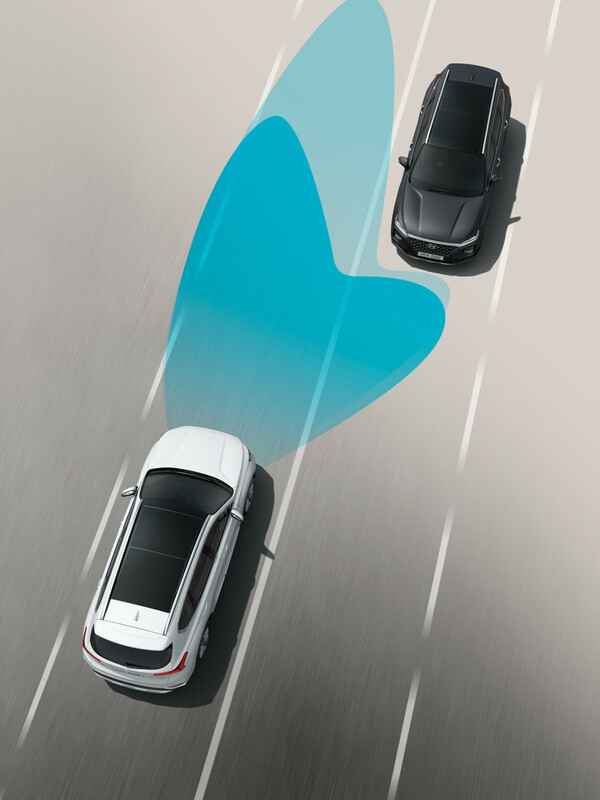 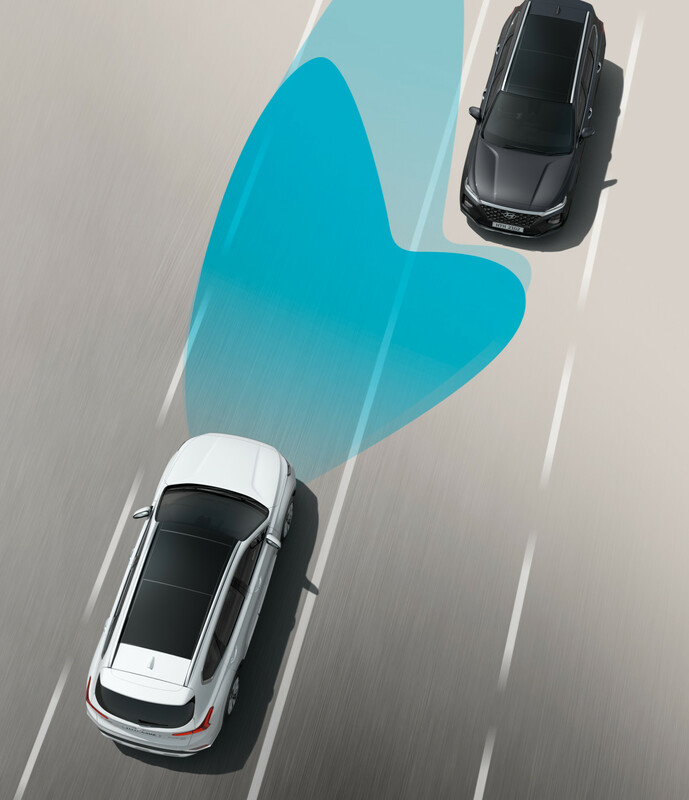 Be alerted to traffic at the rear of the vehicle with sound and assisted braking (Elite & Limited models only). 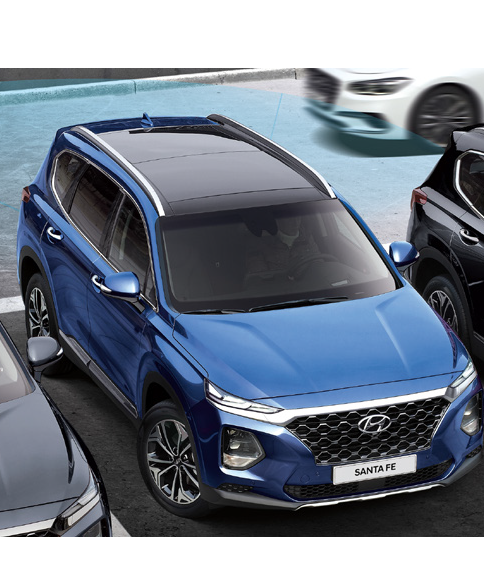 Take the stress out of parking the Santa Fe Limited with Smart Park Assistance. 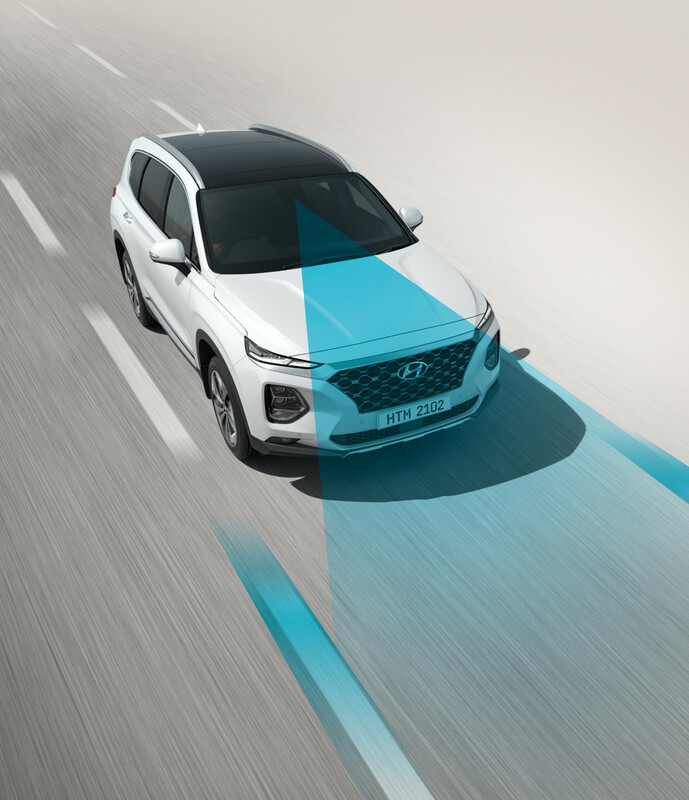 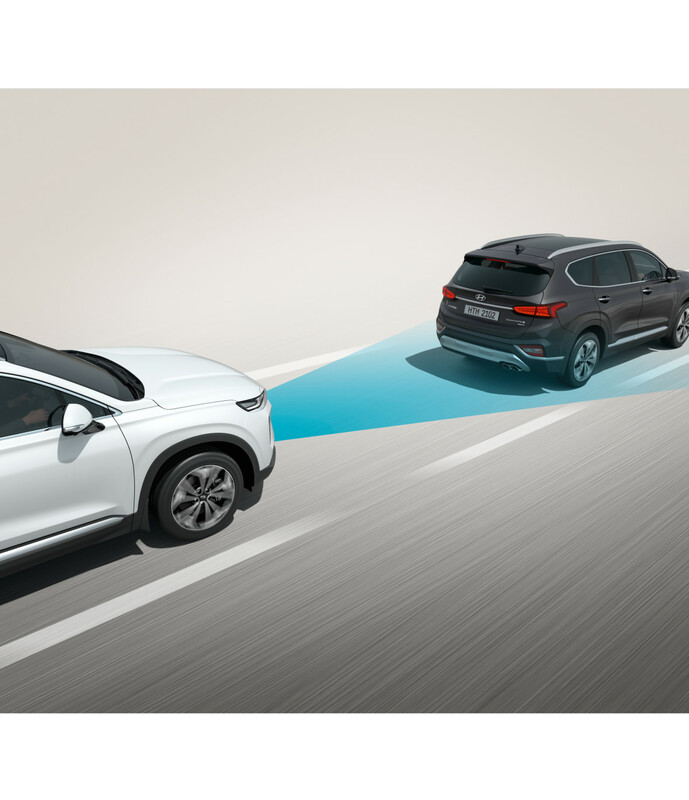 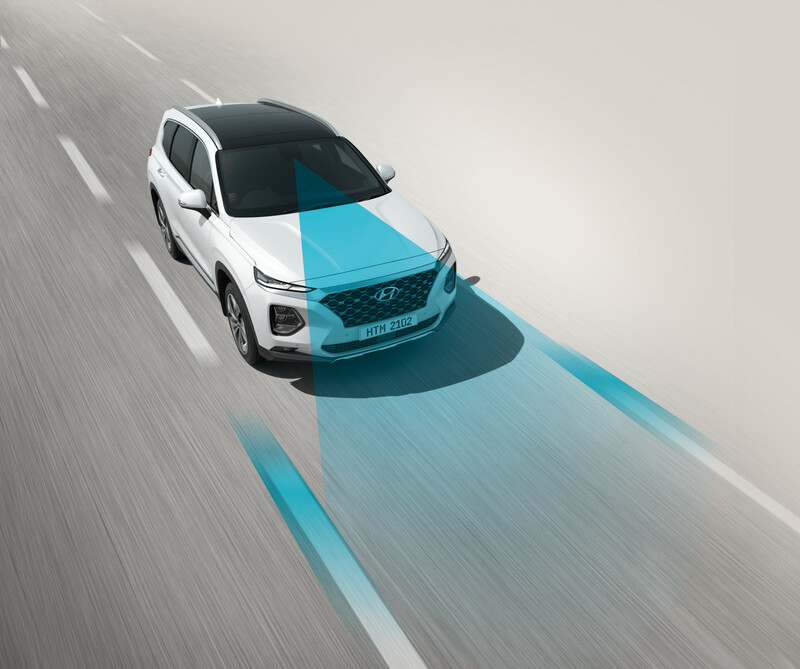 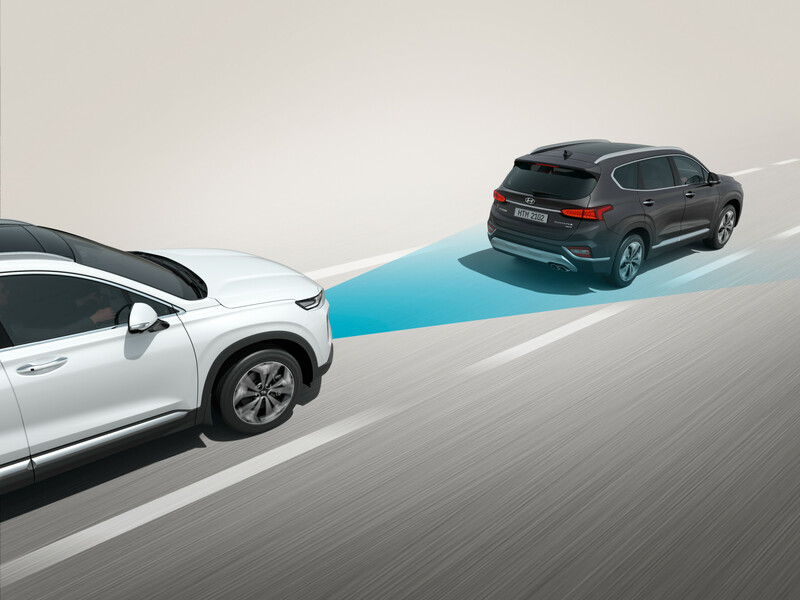 With assistance from sensors around the vehicle the Santa Fe will control all steering movements required in parallel parking situations.